American homes roofing options are becoming the smart and easy choice for Australian’s wanting to finish off their backyard roof. 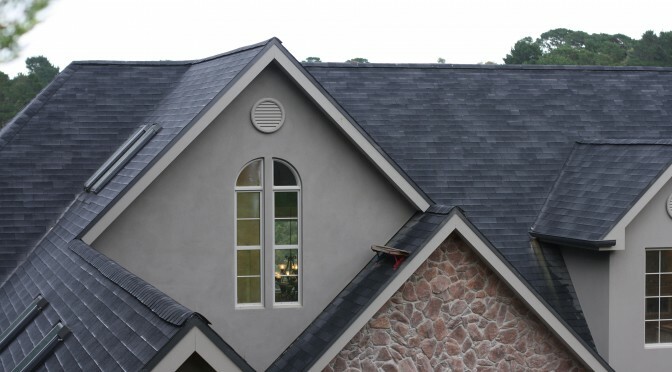 Easy to install, strong, durable and long lasting, American homes are clad with� roof shingles that are backed with a 30-year manufacturers warranty. American homes roofing options are factory made to look like slate or wooden shakes and there is a style to suit your tastes. 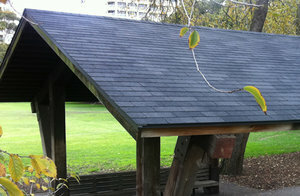 The Marathon slate style shingle has a rectangular shaped tile that has an even roof pattern much like a slate roof. The Cambridge shingle is made to look like wooden shakes with a random cut pattern on a laminated shingle. Both American homes roofing shingles have similar performance and will last for decades. Unlike a Western Red Cedar shake roof which can deteriorate after a short period of time asphalt shingles are made to last. The unparalleled strength of the shingle system comes from the structural plywood cladding which provides the platform for the shingle finish. American homes roofing price is between $20 – $25m2 which is many times cheaper than slate roofing or the Western Red Cedar shingles or shakes. 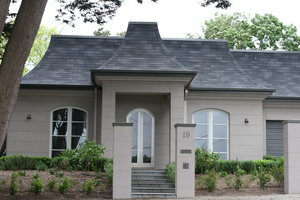 Another benefit of the Cambridge shingle is that it is maintenance free over the life of the product. With a Cedar shingle or shake roof you should seal the wood once a year to protect the wood roof from the elements. This can become a real chore year after year. 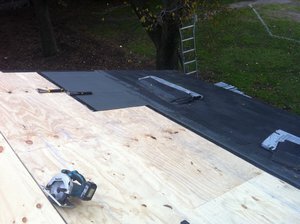 As far as the DIY roofing installation, the American homes shingles system really shines. It is as easy as installing the plywood cladding onto the rafters – no battens needed. Then rolling out the saturated felt underlay and holding into place with staples. Finally nailing down the American shingles with Galvanized clout nails to hold into place. The basic tools needed are a saw, hammer, nails and knife. 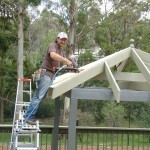 Hundreds of Aussie handymen have completed their new or replacement gazebo, pergola, shed or covered patio roofs in their spare time with brilliant results. Some brave people have also roofed their home with a little advice from us. 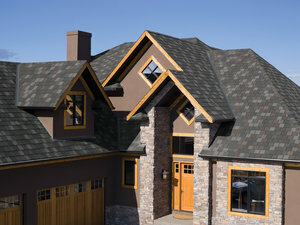 Consider using our roof shingles on your next roofing project and be rewarded with a “worry free” product that will outperform competing roofing products. 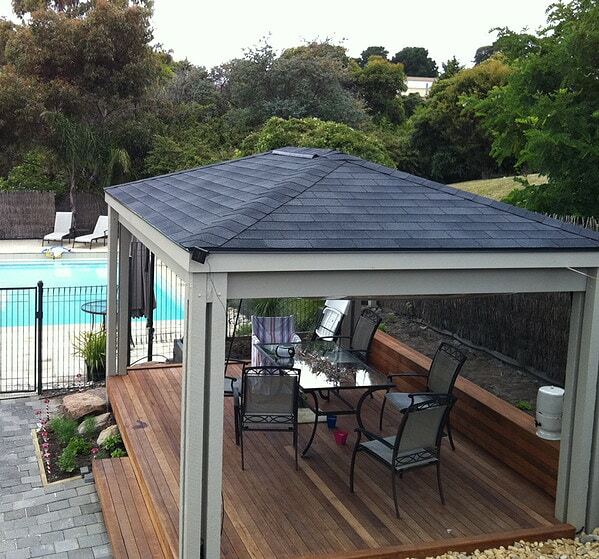 Replace that old wooden shake roof or Bali thatched gazebo with our cost effective shingles. 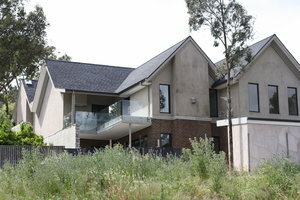 We are sending our roofing kits all around Australia on a daily basis so Call American Homes Roofing Supplies Now! Thanks for your expert installation advice. We are extremely happy with our new Cambridge shingle roof.